Catching up with the team in our Spanish office and viewing some of the most exciting developments currently on the coast, our International Marketing Assistant Cherisse and Business Development Manager Alex embarked on the lengthy journey down the AP-7 Mediterranean motorway. After spending quite a bit of time on the car park trying to switch the language settings in our rental car from Russian to English, our efforts were in vain so we began our journey hoping that our inability to speak Russian wouldn’t be a major Выпуск…On joining the motorway, we quickly realised that, although we had both lived in Spain before, driving here would take some getting used to. But after a few trips around numerous roundabouts with quite lavish flower arrangements, we were well on our way. At the start of the motorway, close to Málaga, the area was quite built up, after all it is one of the biggest and most popular cities in Spain. We escaped the hustle and bustle and found that the road leading out of Malaga was surprising clear; the Mediterranean was just about visible to the west and the beginning of the Sierra de Mijas to the east. We reached Benalmádena in no time and from the petrol station at the side of the road, we were greeted with breath-taking views of the town below, as well as the sea in the distance. A major selling point of this part of southern Spain is most definitely its transport links and how easy it is to travel from each coastal town. Within 15 minutes, drivers can easily reach the airport, Torremolinos, Benalmádena and Fuengirola, and we quickly discovered this. After driving past Fuengirola and seeing many holiday makers and tourists making the early-morning venture to the beach, we visited a development in La Capellania, just to the west of Benalmádena, which featured a luxury hotel. Whilst speaking to developers and catching up on progress, we enjoyed the panoramic views from the rooftop of the hotel, and began to appreciate the beautiful and constantly-evolving southern coastline. The Mediterranean stretched for miles into the distance, and Gibraltar and the Atlas Mountains in Morocco were just about visible to the naked eye. Despite it still only being April, the area was surprising busy, and many British and Scandinavian nationals were enjoying the spring sunshine and all that the region has to offer. We then began our ascent into the hills of Mijas to visit a development in La Cala Golf Resort. Exiting the motorway, the roads were extremely windy and narrow and the rolling hills seemed never-ending, made even more attractive by the warm morning sunshine. This part of the region is obviously very popular with golfers and those wanting a little more peace and tranquillity, although they can access major coastal towns in minutes. One unique selling point of La Cala Golf, due to it being close to good transport links, is it is easy to get to La Cala de Mijas, a lively, friendly and popular town, with plenty to do. From there, Miraflores and Riviera del Sol, two other popular areas, are within easy access thanks to both the AP-7 and A-7. Driving through Riviera del Sol, continuing along the AP-7, drivers are greeted again by wonderful sea views between the rolling hills, after passing through the toll road that is! Depending on the time of day the toll road varies, we paid €3,55 and €4,70 respectively, quite an expensive journey for a daily commute in our opinion, which does cause many to opt for the A-7 instead! From the toll road, the motorway is pretty much a smooth and pleasant stretch of road for 21 km along the coastal A-7 or 23 km down the AP-7 depending on traffic. Drivers will pass by numerous urbanisations and close by to popular clubs such as the famous Nikki Beach Club. On entering the outskirts of Marbella, the roads did get a little confusing so it’s always handy to have a Sat Nav or Google Maps at the ready just in case you get lost! Passing Marbella and heading West towards Nueva Andalucía Golf Valley, the landscape was notoriously green, with golf courses every couple of minutes, and it wasn’t surprising to see why this part of the Costa del Sol is so popular. We finished our long and adventurous journey along one of Spain’s best motorways, in Estepona, viewing beachfront developments due to launch next year. Although seemingly miles away from the likes of Marbella and Puerto Banús, Estepona is approximately 20 minutes away. This part of the Costa del Sol has so much to offer and its coastline is evolving each week. We spoke to a developer at a beachfront complex launching next year and he said that they were teaming up with another developer just minutes away to create a brand new public promenade. This new walkway would connect not only multiple new developments and create a sense of community, but would also run directly to Estepona marina, making it ideal for runners, dog walkers and any members of the public. Developers are no longer just building houses; they’re building communities and transforming blank canvas into residential hubs brimming with life. The amount of prosperous developments we visited on our journey, along with the evolution of the coastline into an international hub for residents, second home owners, tourists and investors, only further demonstrates that the Spanish property market is very much alive and shows no signs of slowing down. 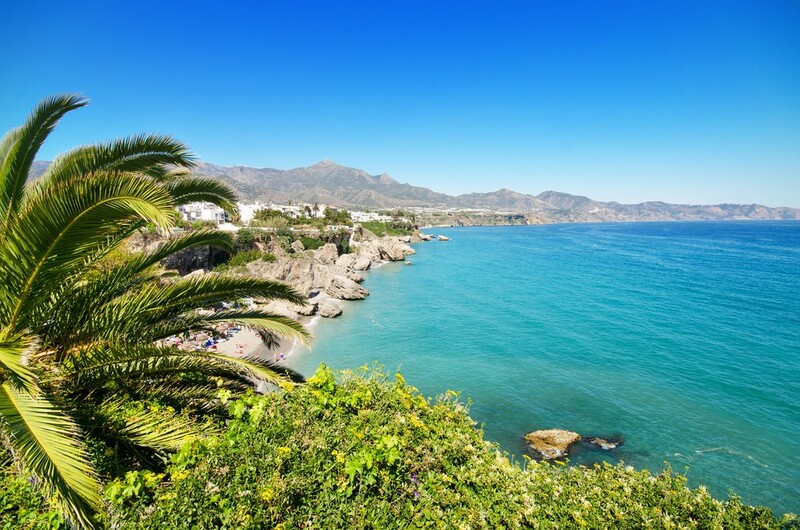 If you’re considering purchasing a home in Spain and would like to experience this wonderful coastline with a member of our friendly team based in Marbella, then why not book a property inspection trip? We’ll show you not only the properties which are of interest to you, but also the areas as we believe it’s much more beneficial to see and experience the locations for yourself. Speak to a member of our team today for more information on 0800 011 2639.